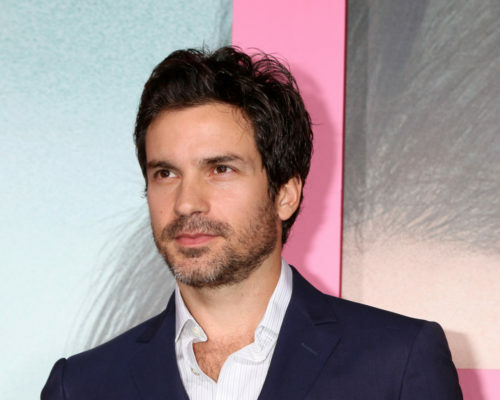 Santiago Cabrera is headed to CBS. This week, the network announced the Musketeers star has joined their upcoming TV series Salvation. The drama “centers on an MIT grad student and a tech superstar who bring a Pentagon official a staggering discovery – that an asteroid is just six months away from colliding with Earth.” The cast also includes Jennifer Finnigan, Charlie Rowe, Jacqueline Byers, and Ian Anthony Dale. Cabrera will play “Darius, a charming self-made tech billionaire and visionary maverick, whose great love seems to be his projects.” Salvation is set to premiere this summer. STUDIO CITY, Calif. – Santiago Cabrera will star in SALVATION, a new suspense drama series that centers on an MIT grad student and a tech superstar who bring a Pentagon official a staggering discovery – that an asteroid is just six months away from colliding with Earth, to be broadcast in summer 2017, on CBS. Academy Award nominated director Juan Carlos Fresnadillo (“Esposados”) will direct and serve as executive producer. Cabrera will portray Darius, a charming self-made tech billionaire and visionary maverick, whose great love seems to be his projects. His greatest project of all, however, will be an audacious plan to save the human race from an incoming asteroid. Cabrera joins previously announced series regulars Jennifer Finnigan, Charlie Rowe, Jacqueline Byers and Ian Anthony Dale. Cabrera is well known for his role of “Aramis” on the BBC show “The Musketeers.” His previous television credits include “The Mindy Project,” “Merlin,” “Heroes” and the HBO movie “Hemmingway and Gelhorn,” opposite Nicole Kidman and Clive Owen. His film credits include Steven Soderbergh’s “Che” and “For Greater Glory.” Coming up, he will star in the television series “Big Little Lies” opposite Reese Witherspoon and Nicole Kidman, and the feature film “Transformers: The Last Knight,” opposite Mark Wahlberg and Josh Duhamel. What do you think? Are you a fan of Cabrera? Will you watch Salvation? Santiago Cabrera is a very talented actor, can’t wait for season 2!